For many years, I’ve received questions from women’s ministry leaders who deeply desire to connect with the younger generation. It’s an important question and one that should continually be asked. If not, you might find yourself sitting in an empty room because you neglected to keep your ministry relevant to the next generation. But lately, I’ve received questions that are the opposite. Younger women are frustrated because older women have decided to step aside and “retire” from ministry. They have stopped coming to Bible studies and they aren’t engaged in what their women’s ministry is offering. Nothing could be more unbiblical. Titus 2:3-5 encourages women to teach and encourage young women. Older women are an example in the faith and there is no mention of “retiring” in God’s economy. Your women’s ministry needs grandmothers. I hear the cry of this generation and if you are above the age of 65, I want to implore you to consider some reasons women’s ministry needs you. Grandmothers offer wisdom and life experience. I remember hearing a speaker once explain that parents are law-givers but grandparents are grace-givers. I would also say grandmothers are grace-extenders. I’ve seen this in my own family. My mom was a law-giver in the role of a mother, but I’ve seen her be a grace-extender to her grandchildren. All of us need grace because none of us are perfect at keeping the law. In short, offering grace is a picture of the gospel. As a grandmother, you may be the best picture of grace in your family—or to the young women in your church. Grandmothers are non-existent to many young women. While there is evidence people are living longer, it doesn’t mean women have grandmothers who live near them. Plus, who doesn’t need more grandmothers? Chances are there are younger women who desire an ongoing relationship with several older women, not just one or two. Different women offer different experiences. Both of my grandmothers lived well into their 80s and each of them taught me very different things. One was a farmer’s wife who taught me the value of a clean house, how to bake cinnamon rolls, and how to work hard in the home. My other grandmother taught me her love of travel, her frugalness with finances, and how to work hard in the marketplace. Neither of them set out to teach me those things, but as a young woman, wife, and mother, I was watching. The phrase, “lessons are often ‘caught’ and not ‘taught’” was displayed in my grandmothers. Who is “catching” your teaching by watching the way you walk with the Lord? Grandmothers are God’s biblical solution to young women for godly living. I mentioned the Titus 2 mandate—and it is a mandate, not a suggestion. I continue to learn from older women who have displayed faith in remarkable ways. I even made some college students watch the memorial service for Elisabeth Elliot because I wanted to make sure they knew this spiritual giant and spiritual grandmother. Recently, Jill Briscoe, who is in her 80s, taught at the IF Gathering in Austin, Texas. Amidst a terrific line-up of speakers, there was more social media buzz about her than any other speaker. Why? Younger women are drawn to older women who have lived with the Lord for many years and have a strong desire to finish well. We can all learn from her quote, “You go where you’re sent and you stay where you’re put and you give what you’ve got.” If you want to see her message, you can find it here. Are you willing to splash the joy of Christ onto a young generation? Don’t retire from women’s ministry. You are needed. 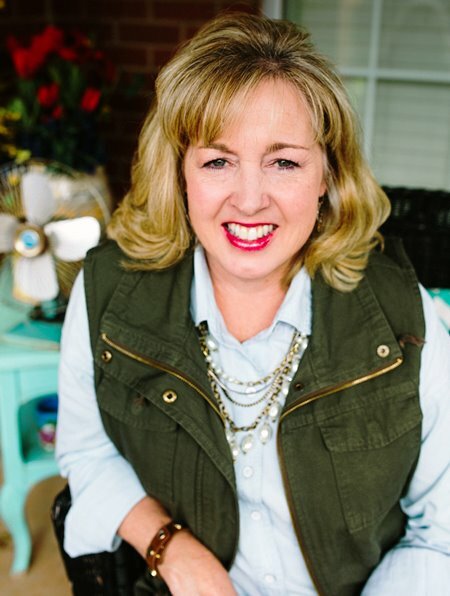 Kelly King is the Women’s Ministry Specialist for LifeWay Christian Resources and oversees the YOU Lead events. Join her this year and get to know her heart for ministry leaders. Follow her on Twitter @kellydking.